is a beautiful bird which reminds me more of a pterodactyl than a pelican. Sight the bright blue star at upper left, then over slightly to his round, black eye. You should then see his pointy head and long beak. The companion of NGC 7000 The North American Nebula, they are both located just off Deneb, the tail star of Cygnus the Swan. 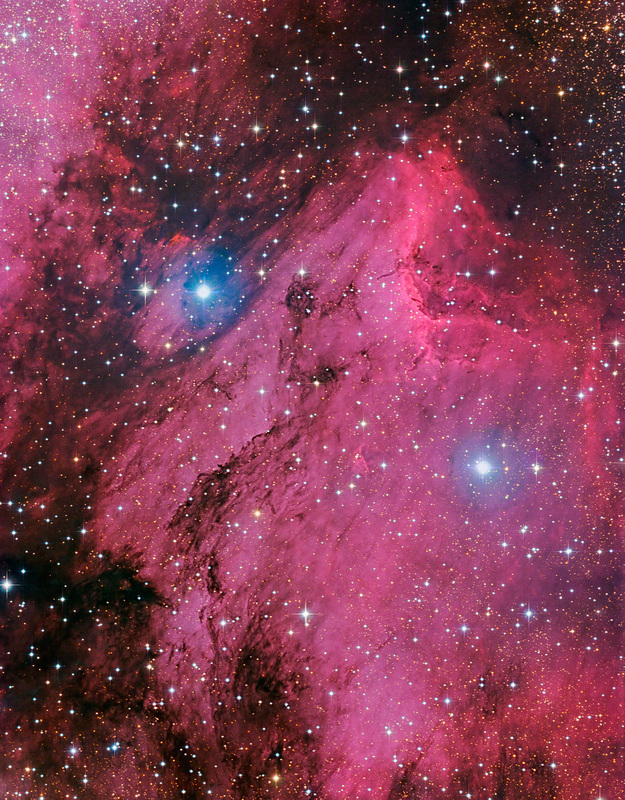 The Pelican is a classic example of a Hydrogen alpha emission nebula which is an active star forming region. Note the interesting dust lanes. Many thanks to my friend Anthony Davoli of ADM astro-accessories for asking me to process the data.